Brighton’s newest and grooviest cocktail lounge, The Flipside draws its inspiration from the iconic 70’s era that heralded the Soul Train movement, the breaking up of The Beatles, Jaws and the first of the epic Star Wars movies hitting the big screens, the first Atari home game console and the death of Elvis Presley. In fact, the name itself it originates from vinyl/flipside of a record that coined the expression “see you on the flipside” harking back to New York/ jive talk. 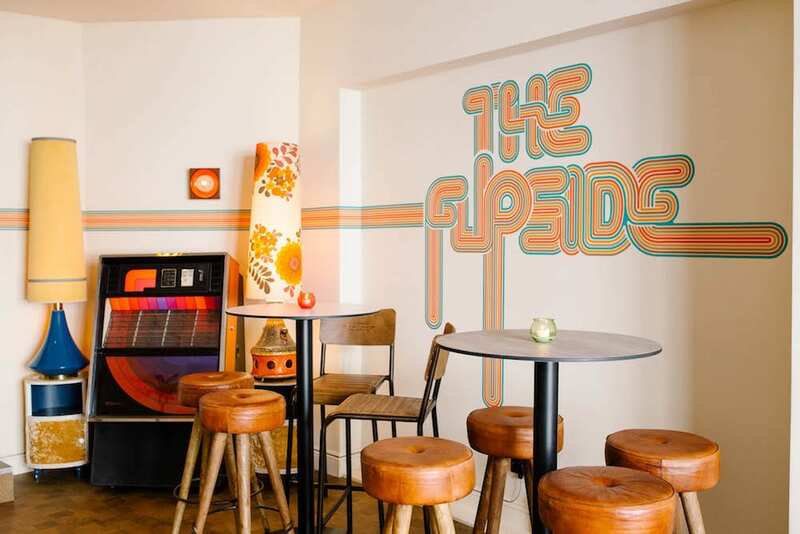 Housed on the first floor of the Brighton institution, The Mesmerist, The Flipside décor is a blend of modern sophistication and unashamed retro, where kitsch meets cool and at times you may think you’ve stumbled onto the set of a Boogie Nights or Studio 54 reboot. But this is not a 70’s theme bar. The Flipside is a cocktail-led venue that takes style nods and drinks inspiration from an era that brought some exceptional films and music. Those with a keen eye will notice the design references to some of the iconic movies and music the 70’s gave us. Bonus points if you can identify all the references that the cocktails are named after. The cocktail menu features our take on classics that were all the rage in the 70’s like the Manhattan, Grasshopper and Sazerac with a few twists that The Mesmerist is known for. 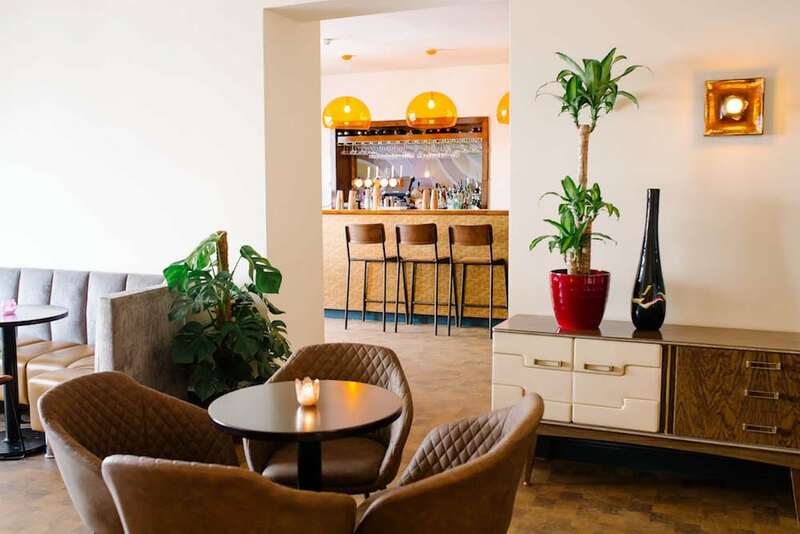 The Flipside also has a full bar offering beer, wine and spirits so if you prefer yours not to be shaken or stirred, there’s plenty of choice on offer. The food menu created by the team at SPACE + THYME who operate and manage the kitchen at The Mesmerist, serves up tasty small plates, sharing boards and tapas-style daily specials that are the perfect light bites to go with your expertly mixed drinks. Top quality seasonal produce is bought locally and cooked from scratch onsite and as always, there is plenty of choice for guests with special diets including vegan and gluten-free. Music at The Flipside is iconically soul and funk with equal measures of Bowie, Blondie, Velvet Underground, The Doors, Led Zeppelin, Fleetwood Mac, The Stranglers, The Clash, The Who, James Brown and others thrown in so you’ll be tapping your toes to the rhythm while you enjoy a pre- or post-dinner cocktail. 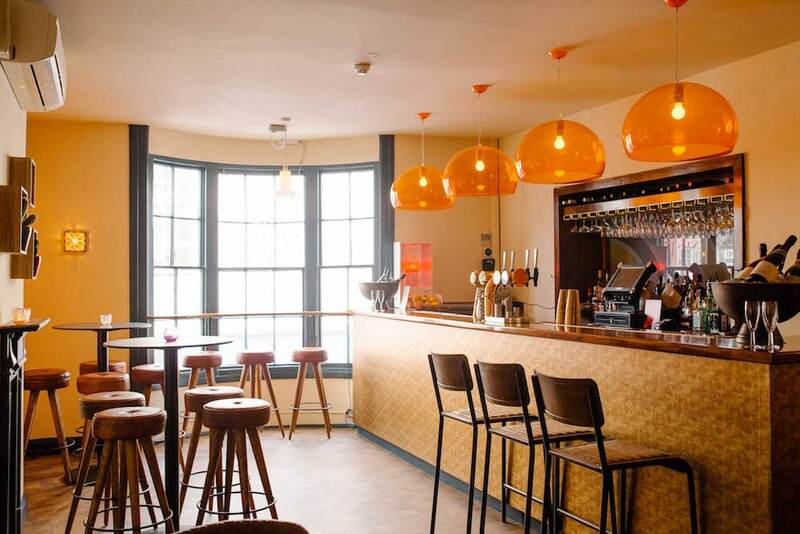 And if you feel the urge to dance, the ground floor of The Mesmerist has DJ’s and bands that perform at the venue regularly, so you wont have far to go to shake your groove thang! The Flipside is also available to hire exclusively for private events between Sunday and Wednesday for up 80 guests. So, see you on The Flipside! So quit your jive talking and boogie on down to The Flipside cocktail lounge. For table reservations at The Flipside (Thursday evenings to Saturday evenings), phone 01273 328542 or email hello@mesmerist.pub. You can also book a table online here.